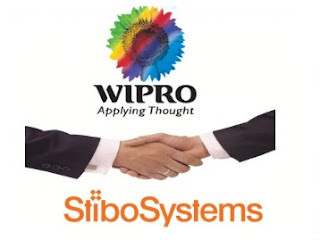 Wipro Limited and Stibo Systems announced a partnership, that will see the two companies collaborate to offer Master Data Management (MDM) solutions. This partnership is aimed at building trust-worthy data foundations to help joint customers derive accurate insights as they embrace digital transformation.Wipro’s deep expertise in end-to-end Analytics, Master Data Management (MDM) and Information Management (IM) solutions, across industries when combined with Stibo Systems’ award-winning Master Data Management solution, STEP Trailblazer, will widen the scope and value of solutions that can be offered to customers, worldwide. Stibo’s STEP Trailblazer solution provides users with a powerful, editable grid-based view of product data, which facilitates the transfer of multiple items such as product families and variants while simultaneously performing crucial validation checks.As part of this partnership, Wipro and Stibo Systems, will also set-up a state-of-the art MDM Center of Excellence (COE) in Bangalore that will showcase industry best practices, standards and guidelines that can be leveraged for customer projects.“In an increasingly digital world, it is imperative that organizations implement a modern and, more importantly, proven, data and analytics strategy, that enables them to apply insight to actual business practices. Wipro’s deep multi-domain MDM expertise combined with Stibo Systems’ leading master data management solution, will empower our customers by providing them with trusted information and insights, that can transform the way they conduct business,” said Pallab Deb, Vice President & Global Head – Analytics, Wipro Limited.